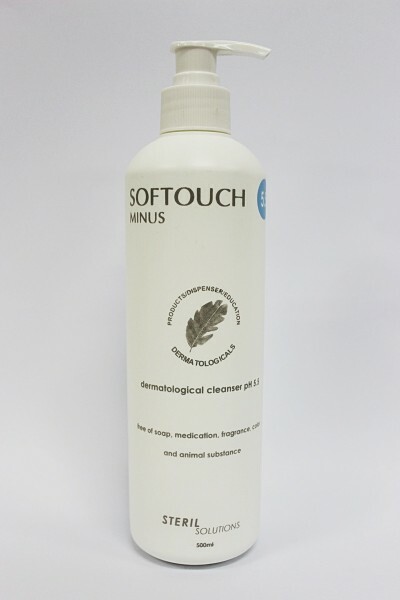 SOFTOUCH MINUS is a total Body Shampoo and Hand Wash formulated specially for the managemenr of dermatitis and eczema. Free of soap, fragrance, medication, colorant, paraben and animal substance. Recommended for use as a body wash, hand-wash, especially for patients suffering from dermatitis and eczema. 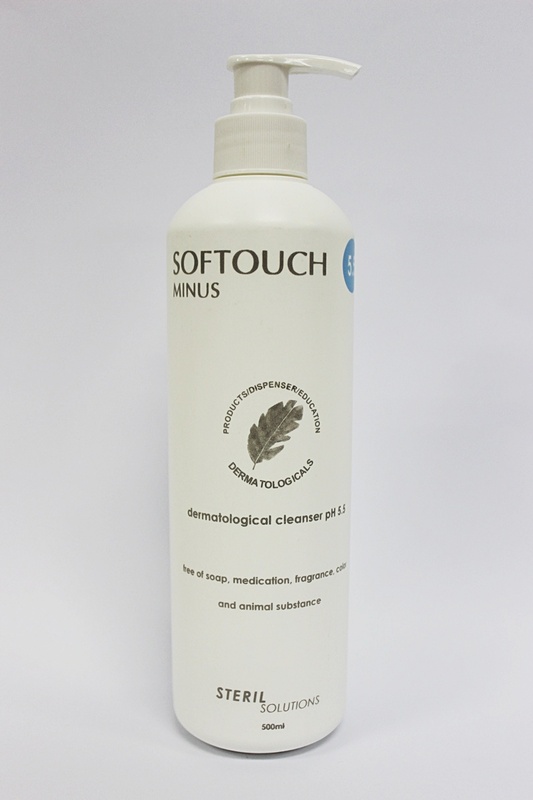 SOFTOUCH MINUS is enriched with only natural emollient and pH balanced at 5.0 – 5.5 and white-pearlized in colour. This surfactant is effective in reducing the number of transient bacteria while the emollient helps to maintain the skin’s natural oils and moisture level. SKU: HUN 00 00 06. Category: STERIL Solutions.